In many industrial cleaning applications the use of solvents yields valuable process advantages. Committed to making optimum use of these benefits, Dürr Ecoclean keeps refining and improving its equipment portfolio continually. 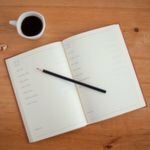 This enables us, on the one hand, to adapt each cleaning system perfectly to its task – with or without integrated part preservation capability. On the other, we can thus enhance the cost efficiency, process reliability and sustainability of the solvent-based cleaning process. Organic solvents are commonly used in industrial part and surface cleaning where highly oil-contaminated or difficult-to-dry parts are involved, or where oils are used in machining and metal forming operations or oil-free surfaces are specified for downstream steps such as, e.g., hardening. The cost efficiency, process reliability and eco-friendliness of such cleaning is chiefly a function of the equipment technology employed. 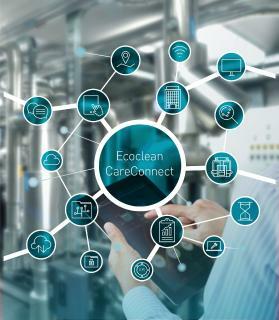 Dürr Ecoclean offers many efficient solutions in this field, its cleaning systems being noted for an extensive standard equipment level that includes heat recovery, bypass filtration, injection flood washing (IFW), high performance, and a series of energy saving and emission-reducing features. These cleaning systems can be run on halogenated hydrocarbons as well as modified alcohols. Operating under full vacuum, they rely on mature, redundant-type safety technology and are equipped with integrated floor trays. Moreover, the solvent-based cleaning systems supplied by the Filderstadt-based manufacturer can be adapted to specific cleanliness, throughput, part geometry and (if necessary) preservation requirements via appropriate dimensioning, process engineering, fluid treatment and drying technology. For maximum cleaning efficiency even when working to exacting cleanliness standards, Ecoclean systems afford a high vacuum performance and are equipped with strong pumps and large-diameter piping. These design details permit rapid filling and draining of the work chamber and tanks while also ensuring an optimum solvent supply to the product basket. Together with the system's high-performance vacuum technology with its final pressure of just under 1 mbar, which ensures quick and fast drying even of very complex part geometries, this design results in short cycle times and hence, enhanced throughput. Validated processes – e.g., in the medical field – and applications calling for oil-free surfaces in downstream steps such as hardening, CVD/PVD coating, brazing, welding or adhesive bonding will often impose the need for ultra-fine cleaning. To this end, the solvent cleaning systems can be fitted with several tanks and flooding tanks for a multi-stage cleaning process. 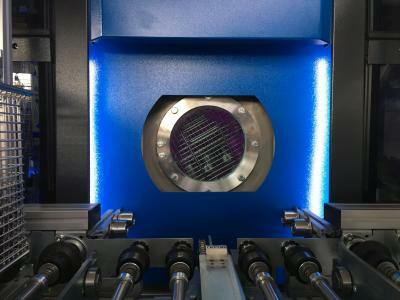 An electropolished work chamber and optimized flow conditions ensure that no foreign matter remains present in the system where it might re-contaminate already cleaned parts. A key contributor to the high cleaning quality attained is the standard bypass filtration system which recirculates the cleaning fluid up to 100 times per hour. This means that in every 2-minute cleaning cycle, the solvent is filtered more than 3 times. For continuous solvent reconditioning, Dürr Ecoclean systems come with an integrated fully automatic distillation unit as well as full-flow and bypass filtration in the standard package. The standard distillation module provides a consistently good degreasing performance even at oil intake rates of up to 5 liters/hour. For higher oil loads or ultra-fine cleaning, an optional oil discharge unit is available for integration into the equipment. 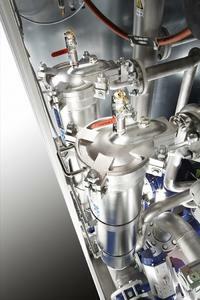 The compact distillation module reduces the solvent content in the discharged oil to less than 1 per cent. Expensive special oils can thus be recovered, e.g., to be fed back into the process in conjunction with a fresh oil supply. The full-flow filtration system cleans the solvent during both filling and draining of the work chamber. All filter housings are designed to support the use of bag or cartridge-type filters and ensure easy replacement of the filter elements. For ultra-fine filtration purposes, cartridge filters down to 1 micron can be fitted. 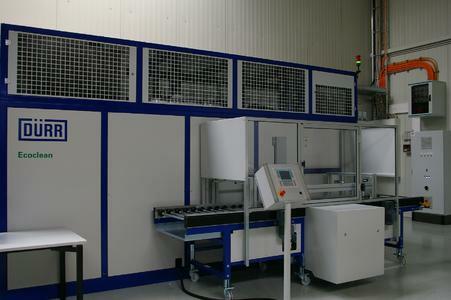 The solvent-based part cleaning equipment from Filderstadt also provides advantages in terms of energy use. Thus, the first flooding tank is heated entirely with waste heat recovered from the distillation module. Up to 20 per cent electrical energy can be saved via the intelligent equipment control system tailored to the customer's specific production cycle. Furthermore, an "as needed" adjustment of the heating power expended on the distillation system can reduce the energy demand of this process step by up to 40 per cent. The standard water cooling system likewise helps to save energy since no electricity is needed to operate chillers. 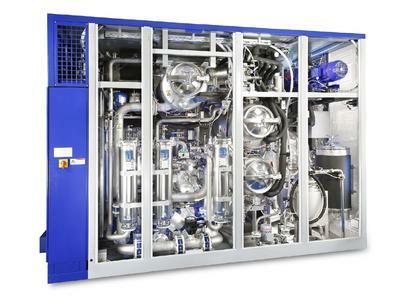 For Dürr Ecoclean, reducing solvent consumption and hence, emission levels is a priority design objective. All Ecoclean solvent-based cleaning systems emit less than the threshold value of 1 tonne of solvents p.a. defined in the VOC Directive. This performance is owed, apart from the effective fluid treatment system and other factors, to the use of low-temperature condensers which cool down the exhaust air to temperatures between 0 and +5°C. This makes for a very low solvent concentration in the exhaust air stream compared to conventional cooling systems which attain an exhaust air temperature of +25°C. Moreover, the exhaust air technology employed eliminates the need for the typical fresh air purging of the work chamber after each cleaning process. As a result, the exhaust air volume is reduced. Thank you in advance for your voucher copy or publication link. 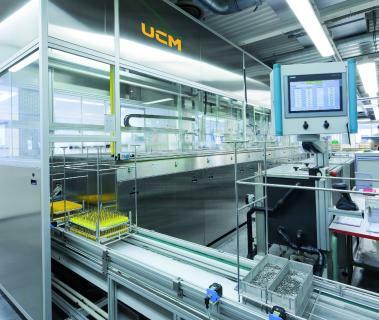 Dürr Ecoclean Group is the leading provider of industrial cleaning, automation and filtration solutions. The group provides innovative standard equipment, custom-designed system solutions and services to the automotive industry and its suppliers, as well as to general markets around the globe. As a member of the Dürr group of companies, Dürr Ecoclean maintains 10 operating sites in 8 countries worldwide with approximately 1,000 employees. Dürr is a mechanical and plant engineering group that holds leading positions in the world market in its areas of operation. It generates a good 80% of its sales in business with the automotive industry. It also supplies the aircraft, machinery, chemical, and pharmaceutical industries with innovative production and environmental technology. The Dürr Group operates in the market with four divisions. Paint and Assembly Systems plans and builds paintshops and final assembly systems for the automobile industry. Application Technology provides automated paint application, sealing, and glueing with its robot technologies. Machinery and systems from the Measuring and Process Systems division are used in engine and transmission manufacturing and in final vehicle assembly, among other areas. The fourth division, Clean Technology Systems, is focused on processes to improve energy efficiency and on exhaust air purification. Dürr has 50 business locations in 23 countries worldwide and approximately 7.700 employees. The Group achieved sales of € 2.4 billion in 2012.